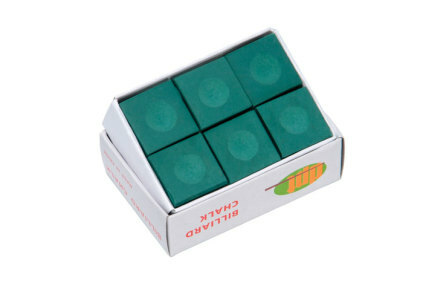 We have boxes of Billiard Chalk containing 6 cubes of chalk in each box. Billiard chalk coats the tip of your Pool Cue evenly which increases grip for maximum Ball control. Chalk is Green in colour.